We hope 2015 was great for you! For us, it was a wonderful year full of romance and adventure, so we’re hoping to provide a bit of inspiration today with these travel highlights. We wish for you to have romance and adventure in your life, however that looks to you – family, love, experiences, friendships, accomplishments, learning, travel, etc.! In our efforts to bring you fun stories and travel advice, we were on the road for almost more nights than we were home! Our accommodations included cruise ship cabins, airline seats on red-eye flights, bunk beds on a dive boat, a mosquito net covered bed at an elephant camp, luxury resorts in Thailand for budget prices, sailboat tiny cabins, a luxury performance catamaran cabin, guest rooms at friends and relatives, bed and breakfast inns, standard hotel rooms, and five successful home exchanges. After 7 1/2 years of traveling together (about 70 trips), we officially launched our travel blog RomancingTheGlobeTravelBlog.com in May of 2015. It’s been an amazing 8 months and we are so grateful for your enthusiasm and comments. We booked a last-minute, deeply discounted cruise to the Caribbean (12 nights for under $500 each!). Costa cruises may not be 5 star, but they had a great itinerary and a very international crew and guests. We visited 8 different islands and made new friends. Read the story. Exploring Thailand and Cambodia was a cultural adventure with lots of parts. We wrote stories about Wicked Diving on a live-aboard dive boat in the Indian Ocean, snuggling with tigers for an afternoon, bareboat sailing in Phang Nga Bay and the Andaman Sea with our international sailing friends, a side trip to Siem Reap, Cambodia to see the ancient Angkor Wat temples, touring Chiang Mai and vicinity, volunteering at the Elephant Nature Park assisting with the care of abused and rescued Asian elephants, and Bangkok highlights. We have many fun memories, but it was SO HOT! We had one of our best ever home exchanges to Edinburgh, Scotland for a full month. It was a return to Scotland for us, exactly five years after our honeymoon home exchange in Lockerbie, Scotland. Tom enjoyed great golf and wrote about why Scotland golf is better. 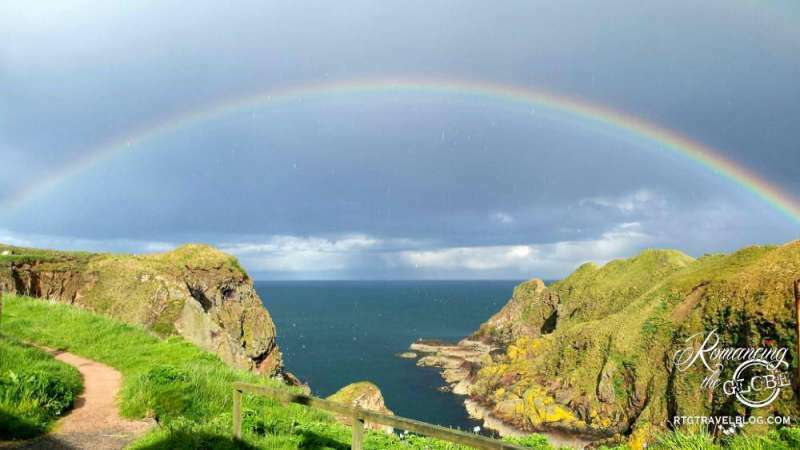 We explored Edinburgh and the surrounding areas, plus took two magical mini road trips to the Isle of Skye and unexpectedly amazing Cruden Bay. After the home exchange, we tried to see too much on a road trip to Wales (story to come), then on to Gloucester for a brief home exchange and then to southern England to see friends and watch some of the sailboat racing action at Cowes Week at the Isle of Wight (story to come). Lastly, a brief tour of London – including a photo op literally on the doorstep of #10 Downing Street. September saw us on the road again, this time for family and friends in Utah and Las Vegas. 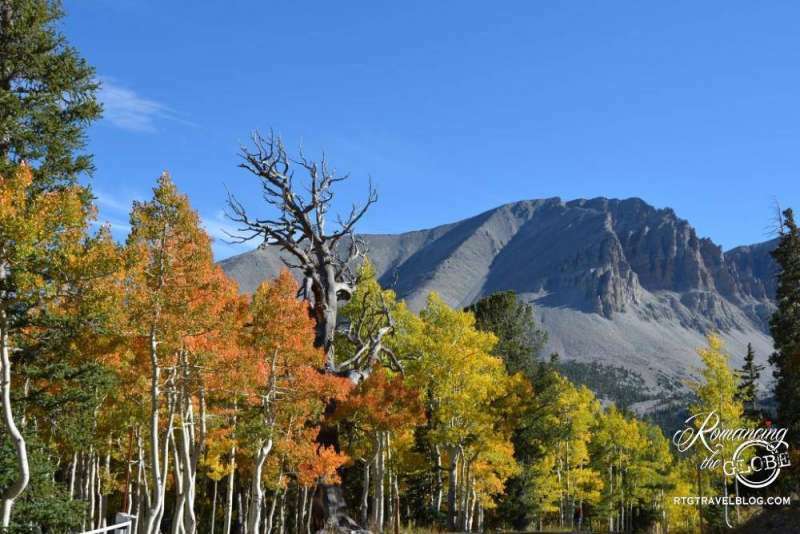 We took a fun side trip to Great Basin National Park in Eastern Nevada – a nice little park that few have heard of – and we were there for the peak fall colors of the aspen trees. Our road trip continued with a home exchange to Mesquite, Nevada for some desert golf. Sheila went to Fort Lauderdale, Florida for our first TBEX (Travel Bloggers Exchange) conference to learn how to be the best travel bloggers we can be. She met hundreds of fascinating travel writers and blog experts. Her conference roomie was her sister, Lora Wood, of Shots From the Road, who happens to be a very talented artist. Lora created this painting to capture the beauty of their moonlit beach stroll. Isn’t she fab? For December, we exchanged homes with a very nice couple from southern Arizona who have family in Denver. They wanted a long visit with their kids and grandkids at Christmas and we wanted to take a break from the Denver winter, plus Tom wanted to play golf. Our family Christmas get-together was planned for January, so that worked. Each of us decorated our homes for Christmas, then switched houses! While en route to AZ, we stayed in a historic hotel and some cozy BnBs in New Mexico. Highlights: sunset at White Sands National Monument and a trip to Saguaro National Park. Additionally, family trips brought us to Florida, Utah, Virginia, and western Colorado. We’re blessed to have wonderful family (and actually LIKE visiting them)! Spent time with both of our parents, kids, grandson, brothers, sisters, cousins, nieces, nephews, a new great-nephew and furry family, including 10 new puppies. 2016 will be another busy year and we’d love your travel advice as we make our plans! So far, we’ve planned: January – a road trip to Texas to visit friends, April – a week in St. Lucia, a sailing trip from St. Lucia through St. Vincent and the Grenadines, followed by a week in Grenada, including SCUBA diving / July – we’re attending the TBEX Europe conference in Stockholm, Sweden (and have a home exchange). We booked our flights into Norway and out of Denmark, to be sure to visit those while we’re “in the neighborhood”. In the fall we’ll go wherever our son chooses his university (1st year!) and possibly a home exchange in southern France. We would love to hear from you! Your advice on our future trips? Your comments on our past trips, stories, or photos? Would you like to write a guest traveler story about some fun romantic trip you took? We sincerely hope you enjoy Romancing the Globe with us. Please stay in touch. Our social media links are: Facebook, Twitter, Pinterest. We’d also love for you to Subscribe to our new monthly newsletter. The new year is like a blank book. The pen is in your hand. It’s your chance to write a beautiful story for yourself!
? What were some of your 2015 highlights? I just love the concept of your blog name. I am always interested in reading blogs with catchy names… Sounds like you had a great 2015. My suggestion for future is to plan some time for the continent of South America – it is truly full of wonderful places. Thanks Yasha! You’re right, South America is high on our list, esp. Argentina and Chile. Your blog is wonderful and I look forward to reading your stories and tips about South America. Enjoy Buenos Aires! Amazing!! this make me wish traveling more!! Such a cool variety of places. I love that you included so many different areas. White Sands looks awesome, I go to NM every year but haven’t made it to that part of the state yet. Thanks Becky! Yes, we like variety and don’t tend to have one favorite type of trip, although SCUBA diving is high on the list these days, esp. for me (Sheila)! I know you must hear this ALL the time, but you have a brilliant smile and we love your attitude towards experiencing travel. Look forward to reading more of your stories!